Cast members and director Carl Jordan of Spreckels Theatre Company took home Outstanding Drama Production Award for "By the Water"
Sonoma County theater artists gathered Monday night at the Juncture Taproom and Lounge in Santa Rosa for the Third Annual Marquee Theater Journalists Association Awards. Seventeen awards were given to local theatre artists and productions whose nominations were culled from the sixty-six Sonoma County productions attended by members from September 1, 2017 through August 31, 2018. The MTJA was founded in 2015 by Sonoma County-based theater journalists with the intent of developing a critically-based awards program to acknowledge outstanding work done by the local theater community. Current members include the North Bay Bohemian's Harry Duke, Sonoma County Gazette's Alexa Chipman, Talkin' Broadway's Jeanie K. Smith, and Aisle Seat Review's Barry Willis and Nicole Singley. All are members of the San Francisco Bay Area Theatre Critics Circle (SFBATCC) and/or the American Theatre Critics Association (ATCA). The MTJA Awards have the distinction of being the first theatre awards program to eliminate gender distinction in the performance categories, simply recognizing outstanding lead and supporting performances by genre. 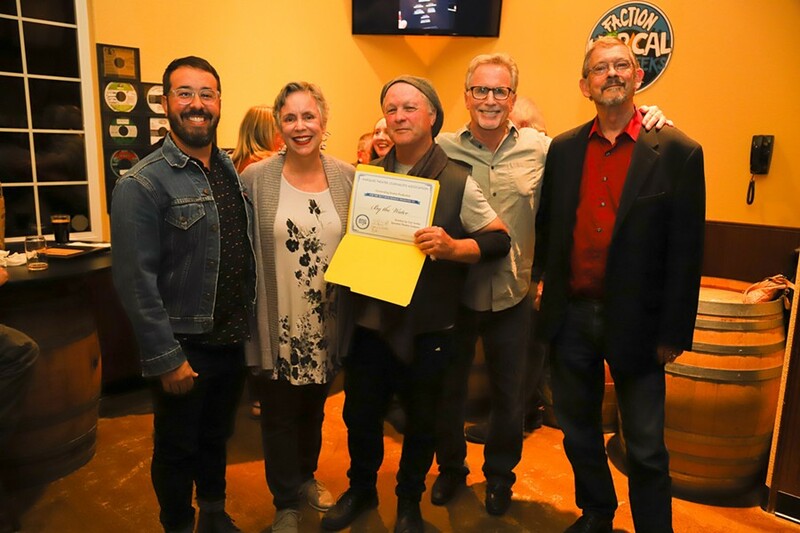 Harry Duke (center) presents the cast and director Michael Ross of Sonoma Arts Live the Outstanding Musical Award for "Always... Patsy Cline"
The Sonoma Arts Live production of Always… Patsy Cline was the single most awarded production of the evening, taking home awards for Lead and Supporting Performances in a Musical as well as Costume Design, Musical Direction and Outstanding Musical Production. 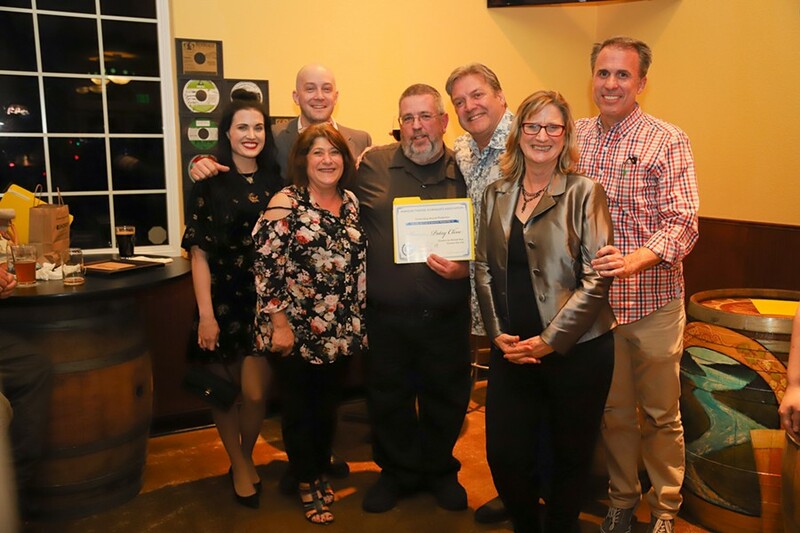 Rohnert Park’s Spreckels Theatre Company production of By the Water was recognized with three awards; Outstanding Lighting Design, Outstanding Supporting Performance in a Drama, and Outstanding Drama Production. The choreography in their production of Peter Pan was also recognized. Santa Rosa’s Left Edge Theatre took home awards for three different shows including Lead Performance in a Comedy, Supporting Performance in a Comedy, and Outstanding Comedy Production. Sebastopol’s Main Stage West had two shows recognized with three awards including Outstanding Sound Design, Outstanding Set Design, and Outstanding Lead Performance in a Drama. Healdsburg’s Raven Players and Santa Rosa’s 6th Street Playhouse each took home one award.